We preview The Deer God, an upcoming platformer on the Wii U eShop by Mobot Studios and Crescent Moon Games. No, sorry for the mislead, this is not a historical article about a Celtic deity who can shapeshift into the form of a deer. This is actually a preview of the upcoming Wii U eShop title forebodingly named The Deer God. The Deer God is currently being co-developed by Mobot Studios and Crescent Moon Games. These developers are also responsible for past hit games such as Blocky Bot (Wii U) and Paper Monsters Recut(Wii U/PC/iOS). The game, which is currently on Xbox One and Steam, is still being Kickstarted and is expected on Wii U eShop in the coming months. The game features, you guessed it, a deer. A stag to be more specific. The game begins with a hunter who is caught in a terrible circumstance and by the divine takes on the form of the aforementioned stag. As the kickstarter states “The hunter becomes the hunted”. 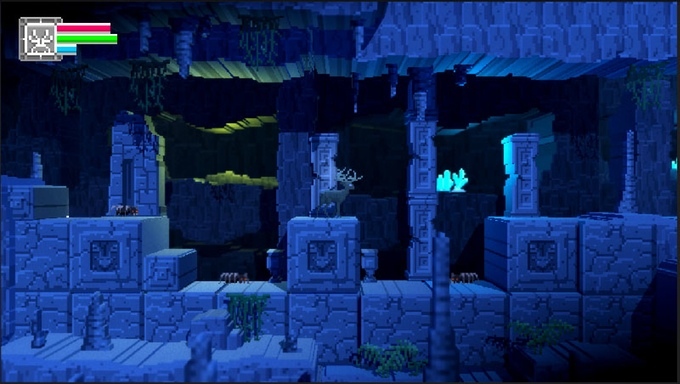 The creators say that they have been inspired by classic adventure games like Zelda and Metroid and more recently by Capybara’s Sword and Sorcery. The game is rendered in beautiful 3D pixel art which really helps to create a very serene environment. The gorgeous backgrounds also look to establish a wonderfully naturesque ambiance. The game play involves 2D side scrolling with you in the driver's seat of your own furry Cervidae. You are able to move left and right on the screen in normal adventure style. As a deer you will encounter all manner of puzzles and platforming areas. You’ll be forced to maneuver around mountain lion attacks, diving hawk strikes, crawling spiders and the oh so terrible cigarette smoking hunters. During your adventures you’ll uncover nifty power-ups and special abilities like the piercing antler which lets you break through previously unexplored areas. you will hopefully be reincarnated as a baby deer, however if you play the part of the renegade you might just come back as a lame plant, fodder for the nearest bunny. At the beginning of each life you start as a baby deer, a fawn, and throughout your life grow to be a powerful stag. One that even Robert of house Baratheon would be proud to wear on his shield. If you’ve ever wanted to know what it was like to be a majestic stag roaming the lush forests of Earth or be on the receiving end of a .22 caliber rifle fired by a drunken man hiding in a camouflaged tree-stand, this might be the game for you. 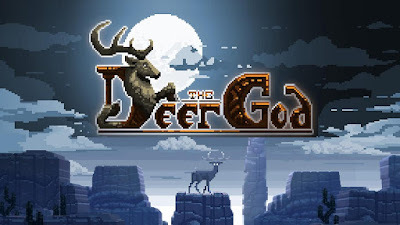 So make sure to check out The Deer God when it arrives on the Nintendo eShop nearest you. Are you ready for The Deer God? Let us know in the comments below! Will we as hunters ever get over the names or the thoughts of others that continue still today. The unjust crucifixion that was brought on so many years ago. How many generations of hunters will be persecuted for a unjust calls.